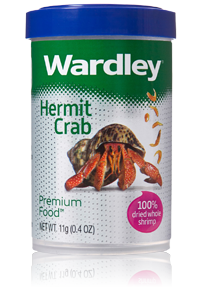 One of the keys to a good diet is balancing a staple food with treats for variety and added nutrition. 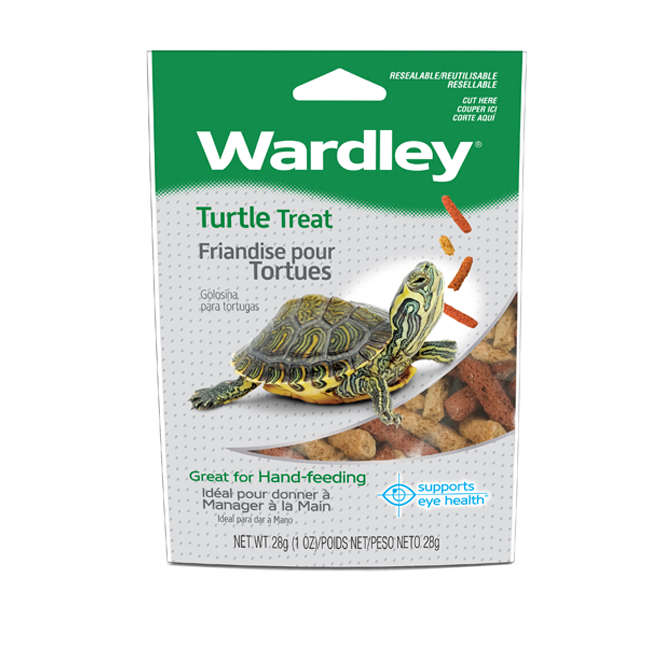 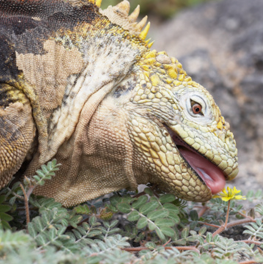 Wardley Turtle Treats are a low fat supplement that you can feel good about giving your turtle. 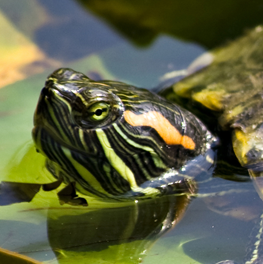 Enhanced with Vitamins A & D, they help to support healthy eyes and shell. 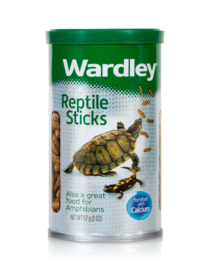 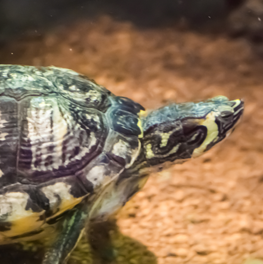 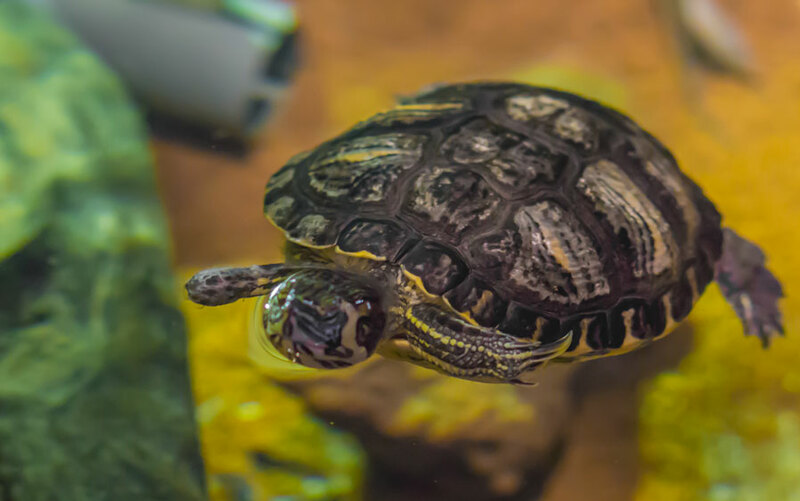 The lightweight formula absorbs water well, making the stix easy for turtles to eat, whether being handfed or floating in the water.